Our religion is a religion of LOVE…. “Our religion is a religion of LOVE in the first place. Love of Allah Ta’ala, Love of Rasoolulllah, sallallahu Ta’ala alayhi wa aalihi wa sallam, love of doing good, love of people, love of parents, love of children, love of neighbors, etc..love, love, love. No love = No Deen, as simple as that. Being a good Muslim doesn’t depend on knowledge you amass -as much-, race, color, culture, “holy” clothing you wear, “holy” self-proclaimed titles, or political views. It depends on how YOU treat OTHER than you; The Creator and the creation. Also if you don’t love for other human beings (regardless of creed, political view and background) what you love for yourself, then there is an essential problem in your very Iman. The merchants of hate and violence, even when they portray themselves as the “official and exclusive” spokespeople of Islam or “Sunnah”, dish out poison, not Deen. Islam is not a Deen of hate but of Love, mercy and unconditional compassion. Rest assured; Allah Ta’ala is much more compassionate, forgiving & merciful than all the “experts” in or “scholars” of the Deen (religion) put together. Today we have clerics -instantly- and without any experience or track record, turned into politicians as well, and started issuing Fatwa’s of violence against their political enemies. Our religion was always about giving life, not death to others. It was never about “Fatwa”, but was and is always about “Taqwa”. The Religion itself is much easier and simpler than the strict rituals of the “religious”. The “official” spokesmen of the Deen are plenty!! making you feel as if Malik (Hellfire gatekeeper) is their employee, and Ridwan (Jannah gatekeeper) is them in person. Those who call you to hate or violate, are callers of Satan and to him, not to Allah Ta’ala or Islam. 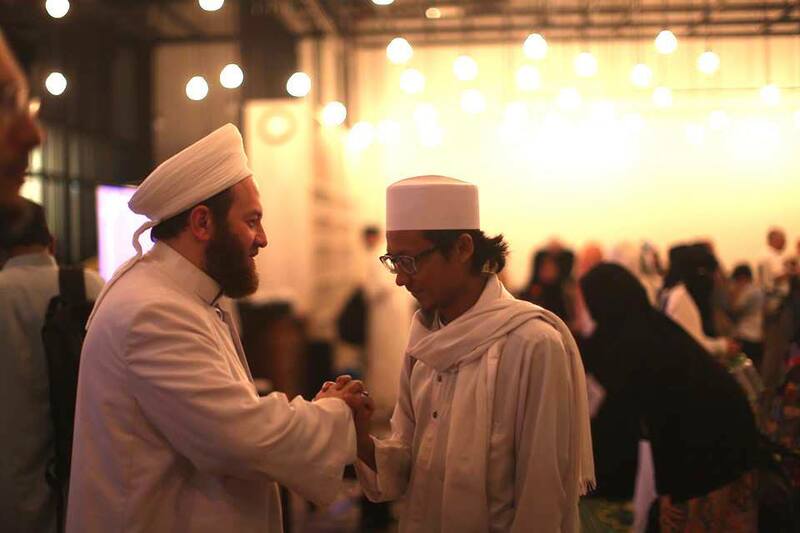 The term “Ulama-u-Su’ ” or (Errant Scholars) is a term usually used to describe scholars keen to please powerful governments/regimes and give them what they’d like to hear on the account of principles of Haqq, but equally so includes scholars/ preachers keen to please the populous and masses, cater to them, mobilize and ride on the wave of their innocent Deeni emotions of he masses on account of principles of Haqq. I call you to search for the truths and question truths offered to you, for no truth can contradict the Wahi (Qur’an and authentic Sunnah). I call you to Love; for love heals. Treat yourself and others with knowledge, humility and love. But Love itself is also a form of Rizq (sustenance from heavens/provisions granted by Allah). Don’t you see the Prophet -Sallallahu Ta’ala alayhi wa aalihi wa sallam- saying about Sayyidatuna Khadija al-Kubra: “I was granted the Rizq of her love” . So seek love just like you seek other forms of Rizq. Learn how to, aspire to, dream of, and be with those who love. The enemy of Islam is: ignorance and the culture and cults of hate. The Saved Sect (al-Firqah al-Najiyah) Hadith -which is less than Sahih in my view- does not in anyway give any one group/cult the exclusive keys to Jannah, The Qur’an & authentic Sunnah do. The Saved Sect (al-Firqah al-Najiyah) is not the one seeking to lock up all other sects in Hell fire, but the one struggling to save them and all others. Such claims of guaranteed exclusivity to the right of salvation is nothing new, see Surah Al-Ma’ida #18, and the answer to it is beautiful and simple in Surah Al-Nis’a #124. Servitude to Allah the Almighty is first of all an act of consciousness. Servitude means to be able to see our weak state before the Divine Kingdom and to know our place. When a person properly recognizes his place, there would be no strength left in him to claim arrogance, egoism and even his very own existence. This is the state of real modesty and an eminent manner of servitude, which makes a believer live in deep sensitivity towards his Lord and Creation. Those who adorn their souls with this exclusive manners act prudently in their acts and behaviors. This manner manifests itself in their sitting, standing, walking, choosing their clothes, speaking, walking, and, in short, in all of their actions.